On average, drivers in America log more than 12,000 miles on their car every single year. Put in terms of time, driving all those miles takes up approximately one hour of every day—which means that the average American driver spends more than two full weeks of their year in the car. Some drivers spend more time in their car than others. For example, drivers who commute for hours every day of the work week and stay-at-home moms who spend half their day carpooling their kids to and from school/after-school activities/etc. are on the road more often than most other drivers. Any drivers who spend more than an hour in the car on any given day are sure to appreciate any of these five gifts that are designed specifically to make driving more convenient, comfortable, and entertaining—especially for drivers who spend a lot of time in the car. Most drivers rely on their smartphone or other mobile device—for music, navigation commands, etc.—while they’re on the road. Unfortunately, running navigation and music streaming apps can quickly drain the battery of these devices. For drivers who spend a lot of time in their cars, having a way to charge their mobile devices on the go is a must. While many modern cars feature built-in USB ports, older cars lack them and even some newer cars only come with a single port—which is not nearly enough for drivers who want to charge multiple mobile devices at one time or frequently carpool with other people who also need to charge their phone on the go. 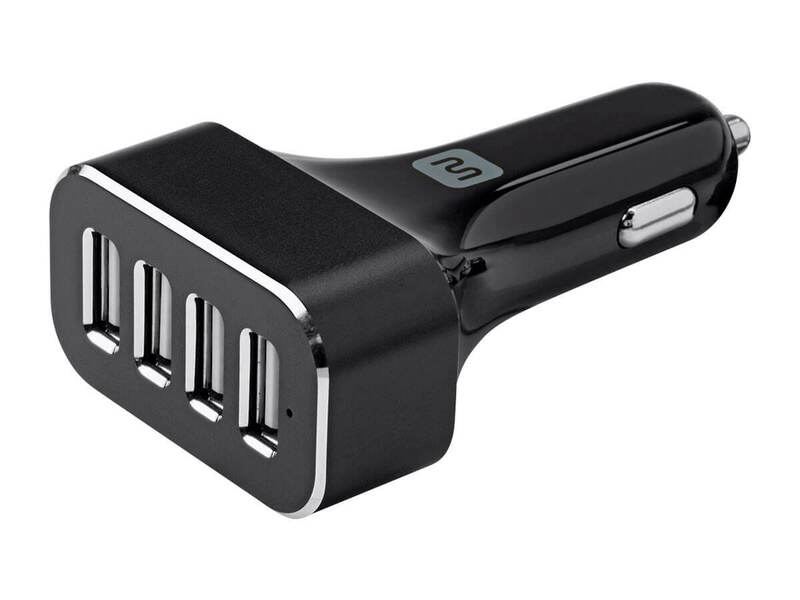 You can easily find multi-port USB car chargers on Amazon or other online stores. These chargers plug into a car’s cigarette lighter and allow drivers to charge two or three—or more—USB-compatible devices at one time on the road. If you’ve ever dropped your smartphone, lip balm, or other small item into one of the gaps around your car seats, you know what a frustrating hassle it can be to try to get those items back from the depths of your car. your car. You'll barely notice they’re there until you’re thanking them for stopping your items from falling out of sight. It is much more pleasant to ride in a car if its interior smells nice. Bath & Body Works Car Scentportable fragrances make it easy to ensure that your car always smells wonderful. These portable fragrances come in a wide variety of scents that are noticeable but won’t overpower your nose in a small space like the inside of your car. A Scentportable holder —which holds Scentportable fragrance refills and clips onto a car’s front visor or seat pocket—and a selection of Scentportable fragrances make perfect stocking stuffers for any driver that spends a lot of time on the road. Anyone who has ever spent hours on end in a car understands that the air inside a moving car gets very dry—especially when you have the windows open or the air or heat turned on while you drive. Having a portable humidifier with you in the car can help you add moisture to the air in your car and minimize the detrimental effects of dry air on your hair and skin. The Five0Eight portable humidifier has a cute lemon-shaped design and is small enough to fit into a standard car cup holder. This handy humidifier disperses cool mist into the air to reduce dryness and regulate the temperature in your car. Plus, you can add essential oils to the water you put in the humidifier to give the air in your car a subtle pleasant aroma. The Puff’nStuff car organizer is an ultra-versatile organizer that functions as a tissue dispenser, water bottle holder, in-car trash bag, and multi-purpose container for any other on-the-go essentials. It buckles easily around any car headrest to add convenience to your car trips and help you avoid distracted driving by keeping everything you or your passengers need safely within reach at all times. This unobtrusive car organizer is essential for any driver who always has trouble finding what they’re looking for in the piles of clutter that fill their messy car. It is a favorite among moms who need to have snacks, toys, and other on-the-go necessities on hand at all times for their little ones in the backseat.